The homeowners insurance with the cheapest premium is not always the least expensive policy if you cut corners that will cost you dearly in the event of a claim. The best value is the policy with the right fit between your needs and the right coverage at the right cost. The structure: What would it cost to rebuild your home? 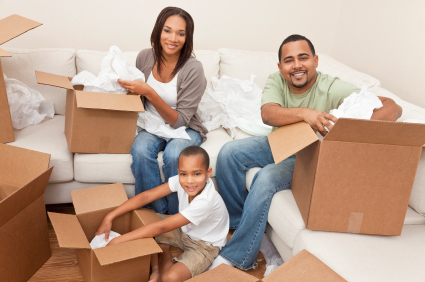 Your personal possessions: What would it cost to replace your furniture, appliances, jewelry, clothing, etc? What would it cost to live elsewhere while your home is being repaired? Liability: What do you need to protect yourself if someone should get hurt on your property? You will need to make sure that you have enough homeowners insurance to cover the cost to rebuild your home. This may be more or less than the price paid for your home or even what it is worth today, and will not include the cost of the land. If purchasing a new home, there is usually a section on the appraisal detailing the cost to rebuild. When obtaining a mortgage, the mortgage company will require you get at least enough homeowners insurance to cover the balance of the mortgage. You should make sure that amount will be sufficient to rebuild your home in the event of a disaster. Even when your mortgage is paid in full, you should still keep homeowners insurance on your property to protect your investment. 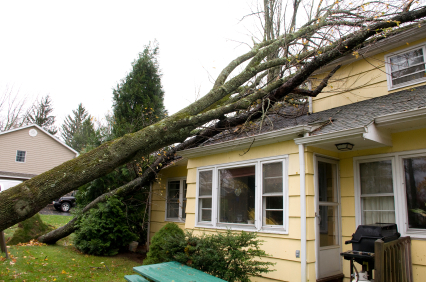 Standard homeowners insurance policies cover damage due to fire, lightning, explosions, hail and theft. Floods, earthquakes or damage due to deferred maintenance are typically not covered. Even if you are not in a flood zone, your home is typically not covered for damages due to flood unless you have flood insurance. That is why hurricane Katrina was such a disaster because so many homes flooded where it was never expected. If your home is in a flood zone, your mortgage company will most likely require that you obtain flood insurance, but any homeowner can add flood insurance to their regular homeowners insurance policy. Most homeowners insurance policies cover the cost to replace whatever was damaged on the property. That means that the policy will pay for materials of similar kind and quality, and the labor to do the repair subject to limits in the policy. 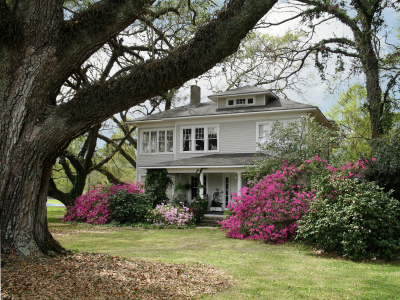 There is no deduction for depreciation, age, or wear and tear of the existing property. When there is a hurricane or other local disaster where multiple homes in the same area sustain damage at the same time, the demand for materials and labor in the area will be high, sometimes causing an increase in the cost to repair. An extended replacement cost policy will pay an extra 20% or more above the limits, protecting you in this type of situation. Another type of policy that is effective in this situation is a guaranteed replacement cost policy, which does exactly what its name says – guarantee to cover the cost of replacement. What if building codes have changed since your home was built and your repair is now required to be at a higher standard and expense due to local ordinance? Standard homeowners insurance policies, and even guaranteed replacement policies, may not cover the extra expense of rebuilding to the new code. The solution is an Ordinance or Law endorsement (or addition) to your homeowners insurance policy. This is a good idea if you are insuring an older home where you know that some of the construction is not up to current code. If are buying a new home and you aren’t sure if the home is up to code, a home inspector can help you figure that out. This is pretty self explanatory – It automatically adjusts your coverage at policy renewal to reflect the current construction costs in your area. Insuring older homes has many considerations and insurance company coverage, requirements, and prices will vary greatly. Some may not allow you to purchase a replacement cost policy because the methods and materials used to construct your home (like plaster walls, real hardwood floors, and ceiling carvings) may be more expensive to replace than standard building practices and materials used today. This is why it is important to find an agent that can shop multiple carriers and can find the coverage is not just the cheapest, but one that protects what is most important to you. The average homeowners insurance policy provides approximately 50-70% of the amount of your “dwelling coverage” for personal possessions. You can usually find the limitations of personal property coverage on the declarations page. This may sound like a lot, but it is still a good idea to complete a home inventory. This will help you determine if you have enough coverage or need to talk to your insurance agent about higher limits for your personal possessions. You should also know if you have actual cash value coverage or replacement cost coverage on your personal possessions. If you have a fire and your appliances were all 10 years old, then an actual cash value policy would only pay the value of 10 year old appliances. Replacement cost policies would pay the cost for new appliances and other belongings up to the limits of the policy. The price of replacement cost coverage is about 10% more than actual cash value. So, you can see there are ways to cut the cost of a premium that may not be such a good idea in the long run. Make sure you find an insurance agent who will help you with the coverage you need. Most homeowners insurance policies limit the amount of coverage for expensive items such as jewelry, furs, antiques and computer equipment. For example the general limit on jewelry is $1000 to $2000. Your policies limits can be found in Section 1 of your policy under personal property. 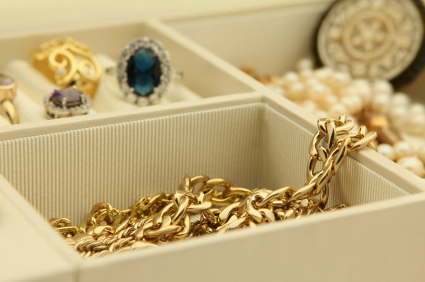 If you have possessions that may be valued higher than these limits you should discuss insuring these items as individual items or collections under a property floater or endorsement with your insurance agent. Value can be determined by recent receipt or appraisal. If you home is made unlivable by a fire or severe storm, where will you live while it is being repaired? That is why this feature is so important – it covers hotels, the cost of eating out and other living expenses while you are unable to live in your home. This is another feature that varies considerably between companies, and is better to review now rather than later. If someone is hurt on your property, you may be liable for their medical expenses and or damages even if you didn’t do anything wrong. Liability coverage will pay for any attorney costs as well as any damages you might be required to pay. It can also cover you for injury to others caused by pets. Certain types of dogs may be limited by certain insurance companies. The average coverage on a standard homeowners insurance policy is $100,000, however the recommended coverage based on current legal and medical expense is $300,000 to $500,000. At Grubbs Insurance we have seen the tremendous expense associated with trying to cut premium costs when it comes to filing a claim. Make sure you are adequately covered with a free policy review. We will let you know exactly how you are covered and make recommendations without cost or obligation.